The iPad had always attracted my attention because I could see how it could help me narrate captivating stories in ways that would get the new generation engaged and excited about the world I care so deeply about. I had seen how my nieces and nephews loved swiping through picture after picture on my iPad- a great way to tell them stories of each animal photograph. 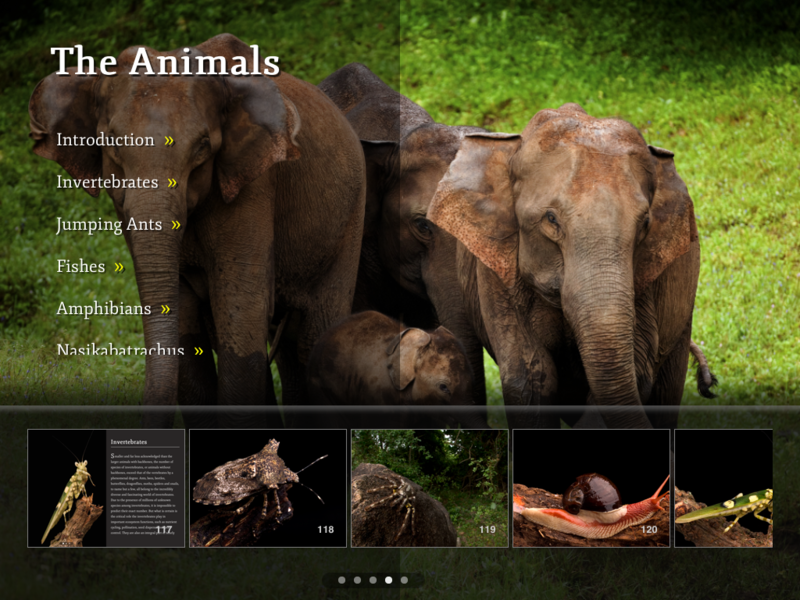 I kept wishing there was a way to actually convert my book and my documentary into an App so that everyone from photographers, parents to children could learn something more about the natural world. I know that I was certainly glued to wildlife books and magazines while growing up, so why not create something for this generation and the next to get them inspired. So about 18 months ago, I joined hands with a fantastic young team of developers at Epictions and set about working on a new project – a SHOWCASE APP about the Western Ghats. 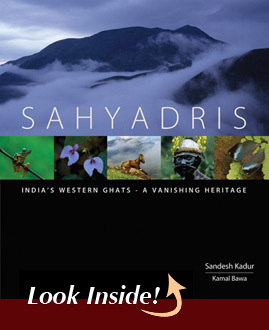 As some of you know, about 7 years ago, I had made a documentary and published a book about the beauty and life of India’s Western Ghats – a biodiversity hotspot. 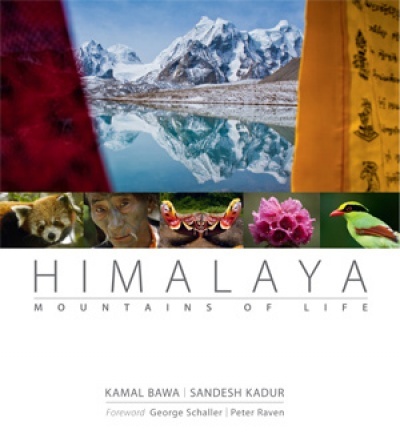 It was a moment of great joy when this film and book were made part of the submission dossier that helped convince UNESCO to name the Western Ghats a World Heritage site. Of course, there were many people working for many years to make this a reality, and my contribution through the book and documentary works were, but a mere, cog in the wheel. So now, with new technology I thought it would be a great time and reason to launch the app, which combines the best of the book and the documentary to give you a wholesome experience of the Western Ghats. 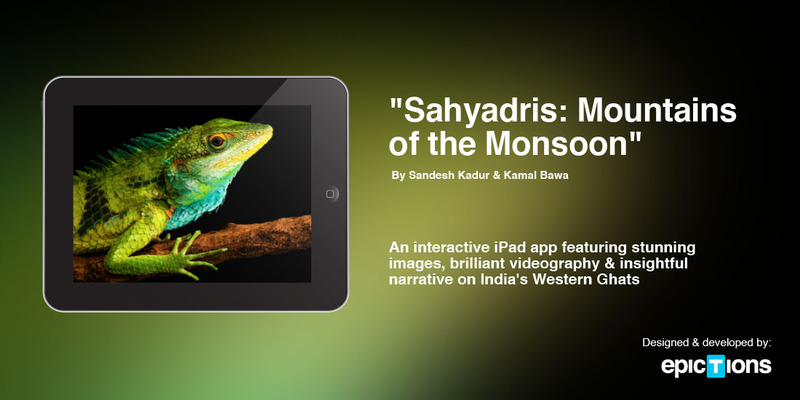 So over the last 18 months, we worked tirelessly to design and compile a blended media narrative that combines both my film (Sahyadris: Mountains of the Monsoon 2002) and the book (Sahyadris: India’s Western Ghats – A Vanishing Heritage, 2005) but produces an entirely NEW EXPERIENCE specially designed for the iPad. IT WASN’T EASY. As this was still relatively new, there were no hard and fast rules. The possibilities were endless, although, we had some questions. How does one combine video with imagery and text – effectively? What do the users want to see beyond the photograph? We studied many apps, there were things I found lacking in some photography Apps and e-books, which was, that there was no photographic information available for any of the images. So I never could tell, what camera, what lens, or what settings had been used to take a shot. This is something every photographer out there craves for. I know I do. It gives the brain good fodder to think of camera settings used to accomplish a shot and is great information to have. So in my App, I decided we had to provide those details. So not only can you tap on the image and you have a caption, but below it you have all Exif details related to the image – which camera was used, at what focal length and what the ISO, Aperture and shutter settings were – information that photographers would love. Drawbacks – From our initial launch in June, much of the comments/criticism has been that the App is not available on Android. So I took up the issue with the developers and the folks at National Geographic. The answer was unanimous – there is no singular, stable platform out there on Android that will help App makers create a bullet-proof standalone App, without a lot of technical problems that will have to be addressed. Apple takes away all this headache by doing a thorough review of each App before its put out there so its capable of working on the intended platform in this case- the ipad. So unfortunately, for now, only iPad users can enjoy the benefits of this new way of story-telling. With all the challenges and drawbacks, I am glad to announce that our first iPad app “Sahyadris” is now ready and available for purchase from the Apple App Store. A portion of the proceeds from the sale of the app will be donated to ATREE (Ashoka Trust for Research in Ecology and the Environment) a non-profit organization working to conserve India’s biodiversity and to the Gorgas Science Foundation whose mission is to promote conservation through education. 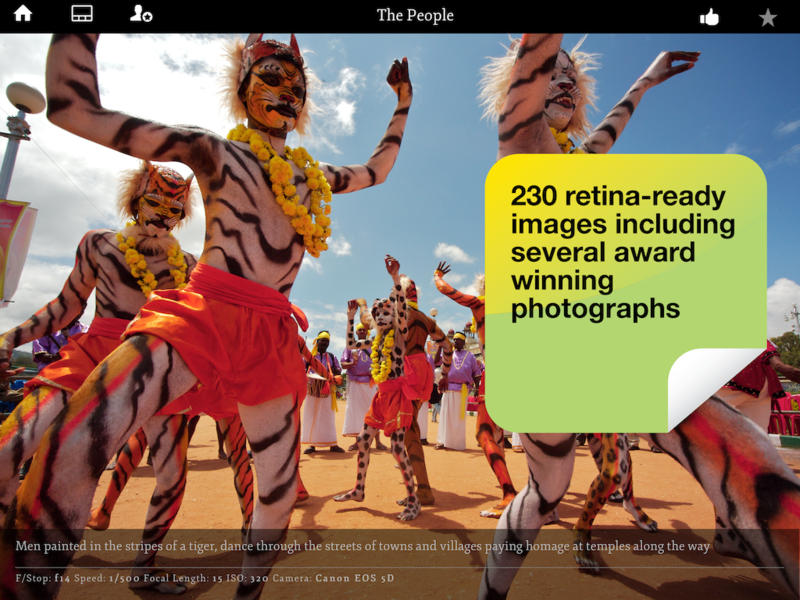 The app is designed to take you on a multi-sensory journey through a confluence of retina-ready images, documentary videos and insightful narrative. It captures the wondrous beauty of the Western Ghats a biodiversity hotspot and a UNESCO World Heritage Site and brings to life its countless species of plants and animals that are found nowhere else on earth, its vast natural landscapes, and its rich ethnic and cultural diversity. We have provided easy-to-use fluid navigation, ability to build your own personalized chapter, and you can share what you like on Facebook. The only way that this APP will be successful is with your support. I would encourage you to DOWNLOAD the App, tell your friends and family about it, and provide me your valuable feedback. Please copy and paste this to twitter or put a post out on Facebook. “I guess that’s what I love about creating an app – you are not stuck, you can adapt, change and tell new stories; for example, you can change frog names as they change according to new taxonomy etc. It’s good to be a part of that future of education and story-telling,” said Kadur. 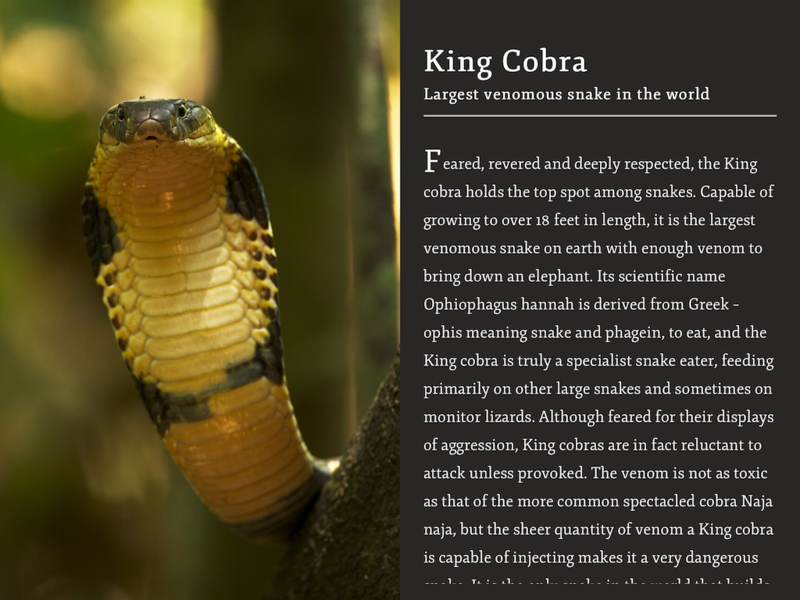 Read more of the interview and review of the App at Mongabay. 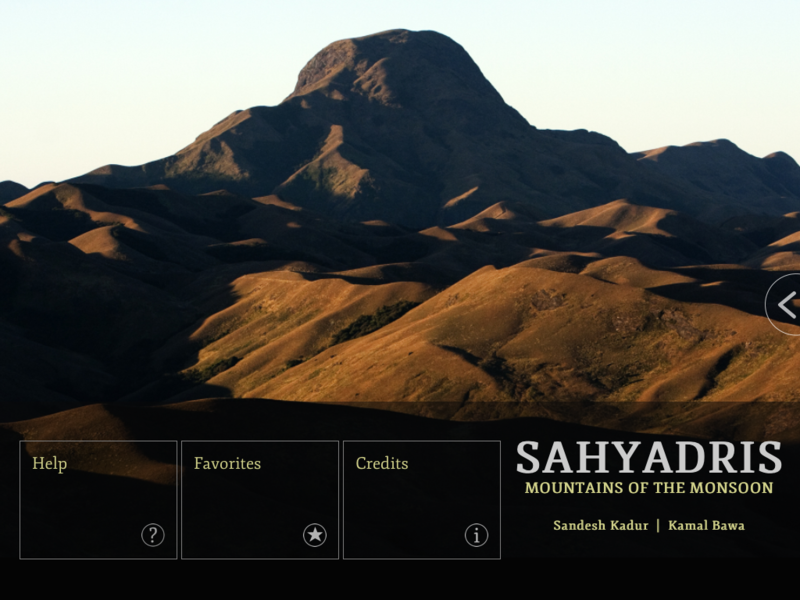 Comment for Spotlight on the Sahyadris – An interactive iPad App about the Western Ghats – a UNESCO World Heritage Site. KADUR, ME LLAMO SONJA SOY CHILENA Y VIVO HACE AÑOS EN BUENOS AIRES, ESTUDIO FOTOGRAFIA Y CINE ( DIREC.FOTOGRAFIA) ME GUSTA MUCHO SU TRABAJO QUERIA FELICITARLO, ADMIRO MUCHO LO QUE HACEN POR LA TIERRA Y LOS ANIMALES, ES MARAVILLOSOS, QUISIERA HUMILDEMENTE DAR A CONOCER MIS ANSIAS Y DESEOS DE PODER TRABAJAR EN ESTO, APRENDIZ, AYUDANTE SOY UNA PERSONA ENAMORADA DE LA FLORA Y FAUNA CRIADA EN UN LUGAR CERCA DEL MAR, ES UN GRAN SUEÑO PODER VIAJAR Y MOSTRAR LO QUE TENEMOS DENUNCIAR DE ALGUNA FORMA. HUMILDEMENTE, DESEO. DESDE YA MUCHAS GRACIAS BENDICIONES Y BUEN DIA .